Your employees use SharePoint or Office365 every day to collaborate and share documents. Now those same platforms can be used for employee recognition with TemboSocial Recognition. 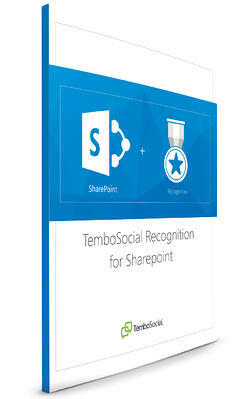 Fill out the form to learn more about TemboSocial Recognition for SharePoint and begin the process of improving your corporate culture. Watch the latest webinar recording to discover the power of TemboSocial Recognition in SharePoint to boost employee performance.